My blower motor is not working. I changed the resister, and the connecting harness that connects to it. I also checked the fuse and the fuse is good also, there is power coming from the connector going into the resister, but the pigtail that comes from the resister and plugs into the blower motor does not have power coming from it. If everything checks out we need to test the blower motor this guide with show you how. If the motor checks out I would check the connection and wiring between the controller. If all is good the controller is bad and needs to be replaced. There is no other power going into the resister besides the power from the red wire, I test all the wires and turned the knob on the control switch to all the speeds. I checked the fuses and their not blown, I rechecked the wires and cycled through the switch and the only one with power is the red wire. Can the problem be the AC control switch? I checked the fuses and they are not blown. I rechecked the wires and cycled through the switch and the only one with power is the red wire. Can the problem be the AC control switch? If you are sure about the results of those tests, then you have a bad switch which means you need a controller. Here is a guide to help. That did it all fixed! Thanks for hanging in there with me. :) I love this site. What typically causes the blower to suddenly stop working? Sometimes the Blower Motor Resistor, usually you will have one or two of the fan speeds only seen one that were just quit all together. Thanks for the insight. 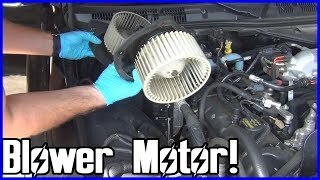 I changed the Blower Motor Resistor and pigtail (available from the Chevrolet dealer) and solved the problem in about fifteen minutes! For the record, the high speed (5) had stopped working several months ago. We are in the 100's these days so the A/C is constantly in use. At the same time my anti lock brake light came on. First suspect would probably be the ignition switch. The contacts could be arced or the terminals in the connector could be overheated and blackened. Look for signs that the connector housing melted around two terminals. Thanks, will look as soon as possible. Will post the results later. But my compressor comes on just does not have blower motor running. There are three or four different circuits built into the ignition switch. That is why the engine can still run when some accessories lose power. The AC compressor will be on a different circuit and is involved with a computer. Also, anti-lock brakes and air bag systems always will have two different power sources. (Two power sources for the ABS computer, and two power sources for the air bag computer). When a fuse blows, or in this case if the ignition switch has a bad contact, the second circuit is needed to run the warning light. My heater blows only on high-fifth setting sometimes. Sometimes it works for about five minutes, sometimes it blows on and off, sometimes will not come on at all. Heat still filters its way into the truck but when I am trying to defrost it takes forever. First check blower motor relay. If okay suspect faulty blower motor resistor. I would get at the blower motor connector, when the problem is ongoing. Key on, HVAC turn on, I would check for voltage and ground at the connector. If no voltage, I would backtrack the circuit. Purple wire is voltage, black wire is ground. The voltage circuit comes from the resistor assembly. I cannot say the resistor assembly is faulty, I would have to check feed to and from that assembly. 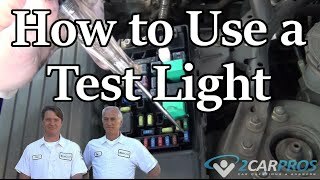 There is probably a blower fuse in under hood fuse box, that fuse circuit is hot all the time, use a test lite. Also, HVAC fuse left instrument panel fuse box, it goes hot when you turn on the key, again use a test light on the circuit. Hello, my 1500 SS A/C fan will not work on 4 and 5 settings. It works fine on 1, 2, and 3, and 4 works for a minute then shuts off. I hear the compressor kick on for 4 and 5, but no air comes out. AC is cold at 1, 2, 3. Any suggestions? Need help. You should inspect the blower control resistor in the bottom of the evaporator case, near the blower motor. Also pay close attention to the wiring connector to check for melted wiring or poor terminal connections. Most likely, you will have voltage going to the resistor, but no output on speeds 4 and 5.